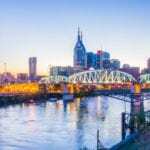 NASHVILLE, TN — After visiting nearly half the counties in Tennessee, the policy positions of gubernatorial candidate and former Nashville Mayor Karl Dean are beginning to take shape. The campaign launched a new, fully-developed website today that includes positions on Dean’s top three platform issues: public education, jobs and healthcare. Until now, visitors to www.karldean.com found a splash page with basic information and links to donate and sign-up to volunteer. The new site includes a blog and social media aggregator, as well as the policy content. Since late February, Dean has been traveling across the state to listen to the ideas and concerns of residents in Tennessee’s economically distressed counties as part of Opportunity TN. He has also been invited to meetings and events in many other counties, where residents have been eager to talk about their communities’ unique needs. Dean has met thousands of Tennesseans while visiting 46 of Tennessee’s 95 counties over the last four months. Their voices have been incorporated into his plans as governor. Dean is committed to continuing to listen to Tennesseans as he builds on his policy positions in the months ahead. In order to continue our state’s progress with public education, Dean supports further increasing teacher pay and investing in high quality early childhood education and afterschool programs. He will ensure school districts get the resources they need to implement higher state standards — just like he did for Nashville where per pupil funding increased by nearly 20 percent while he was mayor. In the Upper Cumberland and East Tennessee, Dean heard how the opioid epidemic is impacting all facets of life — from parent engagement in schools to having a reliable workforce. Dean believes addressing this complex issue must involve more access to treatment programs, stronger prosecution of drug dealers and addressing the over-availability of legal opioid prescriptions. Community leaders in rural counties in West Tennessee highlighted the need for better infrastructure to help them achieve their economic goals. Roads, rural broadband and strategic investments to grow local tourism were among the issues discussed. Haywood County, which is home to a 4,100-acre megasite being heavily marketed by the state for business recruitment, has already benefited from millions of dollars in infrastructure investment. But Dean learned that closure of the county’s only hospital in 2014 has hampered recruitment efforts. He is committed to continuing the state’s focus on West Tennessee to bring the economic development needed in the area. As Dean wraps up the Opportunity TN tour this summer, the campaign will move into its next phase of work, which will include additional staff hires and continued focus on understanding the unique needs of every county in Tennessee. Stay up to date with all campaign activities by following Karl Dean on Twitter and Facebook. Karl Dean is a democratic candidate running for governor in 2018. Dean served two terms as the sixth mayor of the Metropolitan Government of Nashville and Davidson County. His administration focused on education, public safety and jobs. As mayor, he led the city of Nashville to unprecedented economic prosperity that it’s experiencing today. He kept taxes low while making significant investments in public infrastructure, paving the way for new economic development in all parts of Davidson County. Dean first held public office when he was elected as Nashville’s public defender in 1990, a role he served in for nearly a decade before becoming the city’s law director. After leaving the Mayor’s Office in September 2015, Dean began teaching at Belmont University as a distinguished visiting professor of history and political science. Dean is married to Anne Davis, a Nashville native and attorney. They have three grown children and one granddaughter.